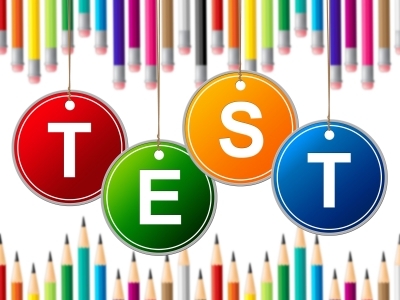 This free online level test will help you check your proficiency level in English. What is your level of English? This online level test will take about 20 minutes to complete. You will notice that the questions will get more difficult as you go on. After you complete the test, click on “Finish Quiz” to have your results calculated. If you click on “View questions”, you will see the correct answers to the questions. Your proficiency level will be determined using the CEFR (Common European Framework of Reference) levels. The results are very approximate which means that these results cannot be used as a proof of language qualification such as official test scores you receive on a language exam. They are useful for you in that you can get a good idea of where you are at, what your strengths and weaknesses are, and what you need to do to make more progress. Read more about what your CEFR level means here. Your English is quite advanced at C1+ level. We recommend that you practice on a regular basis to make sure that you can keep up this knowledge and even make progress beyond your current proficiency level. Before taking a language exam, it is a god idea to familiarize yourself with the types of tasks that you will have to do. You can do that by reading the info and trying sample exercises in the Language Exam section in the main menu. Your English proficiency level is in the intermediate – upper-intermediate range (B2+/C1). This means that you can understand English with confidence! If you’d like to progress beyond your current level, we recommend that you practice on a regular basis. If you are getting ready for taking a language exam, get info about your options and sample activities by browsing our Language Exam section. Your English proficiency level is intermediate (B2). This means that you can understand a wide range of texts and programs with confidence. You can improve your English a lot by practicing it a little every day if only for 10 minutes. Look around on our website to find interesting articles, videos and interactive quizzes to help you complete your English ‘workout’ every day. If you are getting ready for taking a language exam, get info about your options and sample activities by browsing our Language Exam section. Your English proficiency level is pre-intermediate (B1). This means that you can handle different situations and understand English texts in a limited way in familiar or routine situations. You can improve your English greatly by practicing it every day. If English becomes a part of your everyday life, you will see lots of progress. This means that you should read something, watch something or do something in English every day. We have lots of interesting reads, videos and quizzes to help you get ahead! Try them by browsing the main menu! If you are getting ready for taking a language exam, get info about your options and sample activities by browsing our Language Exam section. Your English proficiency level is elementary (A2). This means that you can deal with simple information and begin to use English in familiar contexts. Would you like to get to intermediate and advanced level? We can help you get there! Practice with us every day. Read, watch videos, and do activities every day for at least 10 minutes and you will see great results. If you’d like advice about learning English, please contact us, and we’ll get back to you asap! Your are a beginner or false beginner in English.This means that you can communicate in simple, routine situations in a simple way. You are off to a good start. Would you like some help or ideas about learning English? Contact us, and we’ll get back to you asap! I really enjoy ……………… . No, I really don’t like to go there before Christmas. There are too …………… people. Did you see the match yesterday? No, the weather was so nice that we ………………. on an adventure with the kids. I’m so excited about the new Star Wars movie! Believe it or not, I ………………..Star Wars. We are having a party on Saturday. Would you like to come? I share an apartment with a friend. I have an apartment with a friend. I am sharing an apartment with a friend. I am having an apartment with a friend. I have a bad cold - sore throat, runny nose, you know, the works. (Waiter) What can I get you? I’ll have a latte, no sugar, please. Hi. Dr Smart’s Office. Can I help you? Hi. I’d like to make an appointment with Dr Smart. Hi. I’d like to make a date with Dr Smart. Hi. I’d like to set a date with Dr Smart. Hi. I’d like to set an appointment with Dr Smart. …………. a lovely day, isn’t it? Very proud of himself. He repaired our fridge all …………………… . I lost my umbrella, again! I ……………………………….! It’s so frustrating! I have always lots things. I’ve always been losing things. Could you tell George about the changes to the report? I’ll tell him when I see him later today. I’ll tell him when I will see him. I’ll tell him when I would see him. I'll tell him after I'll see him. How long do will she be mad at me? I don’t know, but if I were you, I…………………….. apologize. In Luxembourg shops are closed on Sundays, …………………..? How would you like to go: by car or by taxi? …………………………………., I think we should take a taxi. Why didn’t you print the report? Sarah told me not to. Sarah told me to not. Sarah said me not to. Have you read The Primates of Park Avenue? – It’s a great read, …………………………. . I couldn't put down it. I couldn't take it down. I couldn't read it out. ……………………………………. who I met today! ! Jake Sullivan! After all these years! Come on, slow down for a minute. I don’t think this guy can …………………….. a moving car. I ……………………………. buying a house as an investment. That’s a bad idea, the real estate market can flop any minute. He was very tired when I arrived as he ………………………… all day. If I had known that Aunt Celia was coming today, I ……………………………………… to pick her up at the airport. ……………………………….. the bad weather, a few people came. If the weather ………………………… very bad on Sunday, we won’t be able to hold an outdoor concert. If you ……………………….. to bed early yesterday, you wouldn’t be tired now. It’s 5:15. The bakery said we could pick up the cake at 5, so it ………………………………. ready by now. It’s a pity I didn’t know about this earlier. You ……………………………… me. I’d rather ……………………….. go to the party on Saturday. It would be great to just hang out at home instead. In this town all the buildings are old. This one, for example, ……………………………….. built at least 500 years ago. The cups are in the upper left cupboard where they have been ………………………….. we moved in! How can you not know that? Jake…………………………………. in chemistry ever since he was a child. The advertisement proved effective ……………………………… people from smoking. ………………………………..English can help you land a better job in the future. Which sentence is correct? Pay attention to the commas (,)! The latest issue of Ms Magazine, which will hit the shelves next January, focuses on women’s rights. The latest issue of Ms Magazine which will hit the shelves next January focuses on women’s rights. The latest issue of Ms Magazine, which will hit the shelves next January focuses on women’s rights. The latest issue of Ms Magazine which will hit the shelves next January, focuses on women’s rights. The firemen got the children out of the flames ………………………………….. A minute later the building collapsed. After both sides agreed to a cease-fire, both troops were ordered to ………………………. down their weapons. The car that almost hit him didn’t stop, but I was able to …………………………….. its number. He only makes enough money to provide for basic daily needs – it is a …………………………….. existence. Jack is ……………………………. with envy every time he sees my new iPod. In the rush-hour buses, people are packed like …………………….. .
Would you like to try the sushi? I’ve never had sushi before, but you know what? I’ll give it a ………….. .
Not only ………………… tamper with the evidence, they also blackmailed one of the key witnesses. Hardly …………………….. the station when the train arrived. As soon as she ……………………. the report, she started working on the next project. It was ……………………… fair to shift that responsibility solely to him. What does ‘d stand for in this sentence? If you ‘d had your dinner cooked by your mother, it would have turned out better. Little …………………………. that Sheryl had already filed a motion in court. They put a ……………………….. solution in place, but need something more permanent. Get your free language exam compare table to decide if TOEFL or TOEIC is the right exam for you!